In 1997 Andy discovered Fernhill Farm in a dilapidated state with only a single tap, trough and gate at the end of its overgrown driveway. Today this ancient farmstead is part-way through its transformation and we are thankful to all our visitors who become part of this journey too. Joining environmental schemes such as the Countryside Stewardship Scheme (CSS), Higher Level Entry (HLS) and Woodland Grant Schemes, alongside employing many local skilled hands to plant and coppice trees, hedges and shrubs, rebuild and repair stone walls, and recreate new field boundaries, the land has become fertile and alive with the sounds of hooves and voices. 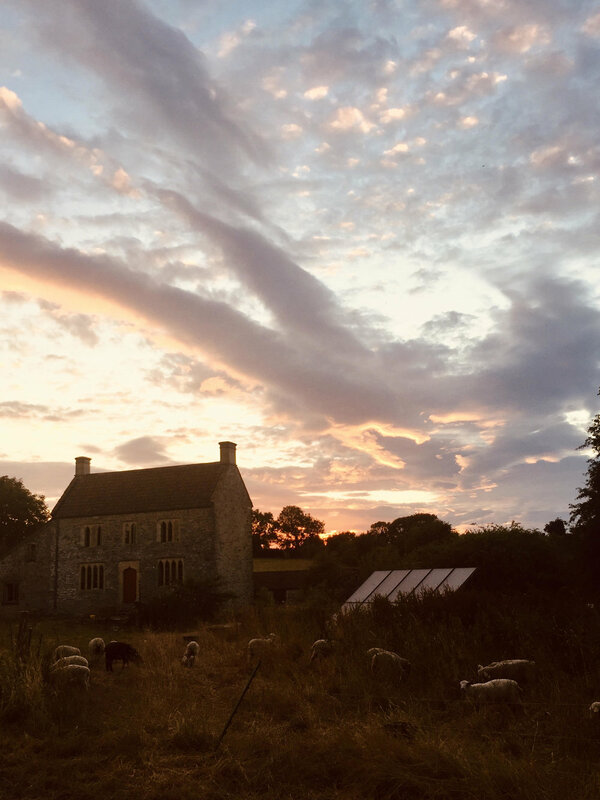 The Grade II listed farmhouse, once on the endangered / at risk list is now the family home and winner of the Mendip District Council Excellence Award for Conservation-led refurbishment 2014. The stone (camping) barns, once useful outbuildings for cows, calves, the dairy and feed stores are now restored as an eco venue with accommodation for the human population seeking a rural retreat. Please buy from local companies, recycle, reuse, reduce and consider the impact of your purchasing powers… every step of your way here too.